Falcom’s site now has an RSS feed. 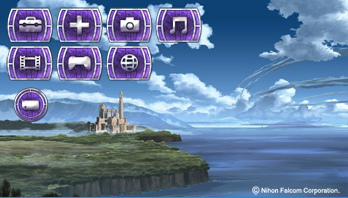 You can find it right at the Newest Information segment underneath the Oath in Felghana flash banner. You will now get an extra soundtrack disc with the game, if I read this correctly. Father Pierre and Bishop Nicholas are both on the site now. Cast interviews now include the actor for Bishop Nicholas. The wallpaper this week is Elizabetha, the wife of McGuire. It will be in place from 2/12 to 2/25. The total for this set is 10,140 yen. The special price is –> 4700 yen! This special is good until 2/18 or until 30 orders have been made. Dinosaur Resurrection (Originally 3960 yen) for 1980 yen. The Legend of Heroes IV: A Tear of Vermillion (Originally 3960 yen) for 3300 yen. 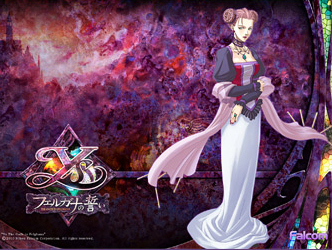 Ys Oath in Felghana Super Arrange Version (Originally 2800 yen) for 2300 yen. Falcom jdk Band Spring 2008 (Originally 2800 yen) for 2300 yen. These last from 2/5 ~ 2/18. There has been noise on Twitter, but I don’t have the time to relay it all here. I’m doing my best to keep up with it on twitter itself, though.